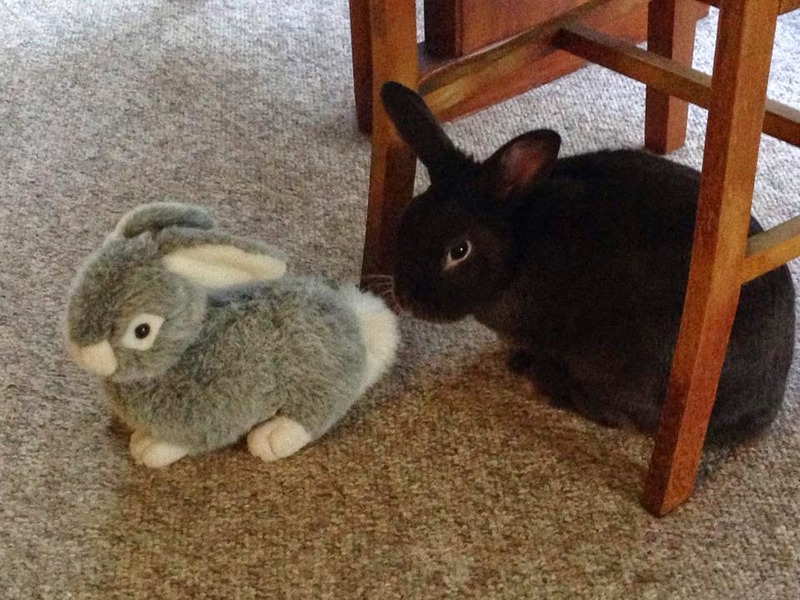 Chocolate Bunny is very taken with his new-found friend. He does, however, get the impression that his latest best mate may not be the sharpest tool in the shed. He has tried valiantly to teach him the basics of rabbit show jumping, to no avail. Choccy, being a rabbit of unbounded optimism, remains undaunted, and intends to try enticing his little buddy with the irresistible lure of banana, sure in the belief that this method cannot fail. We will watch the progress with interest.